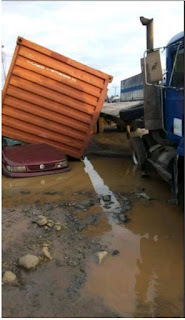 The dilapidated state of Nigerian roads has continued to increase the accident rate across the country with lives lost, vehicles and goods destroyed. 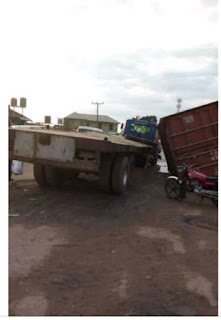 Part of the pictures from the accident scene at Akpajo an unnamed motorists based in the South-south part of Nigeria has escaped death yesterday - 21st of June, 2017 by the whiskers after a container being conveyed to an undisclosed location by a truck accidentally fell on the vehicle. 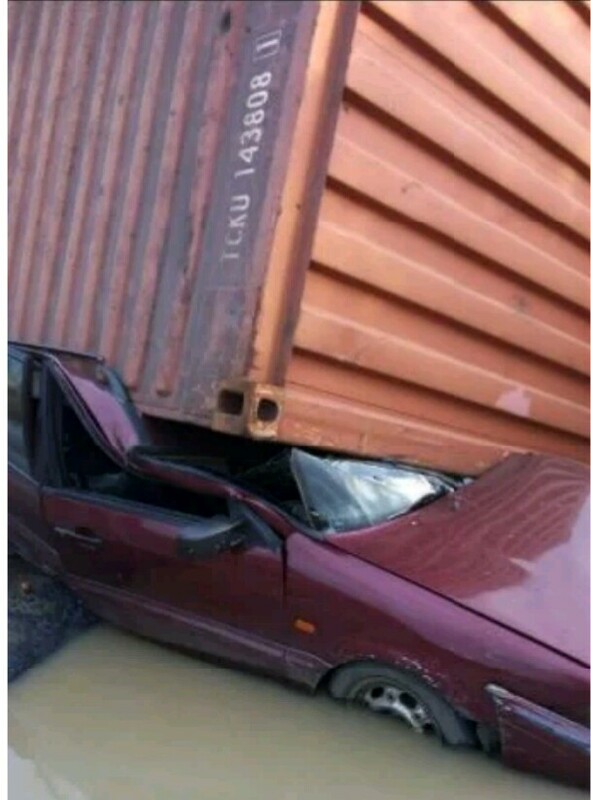 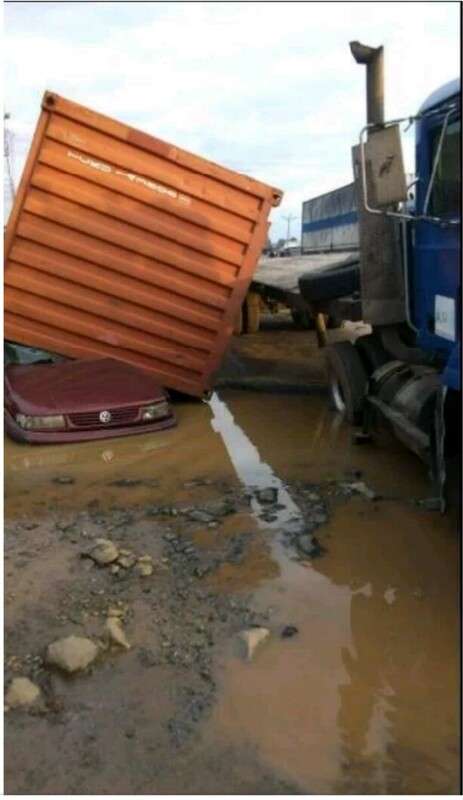 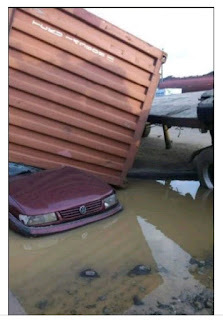 A social media user, Stephanie Steve who shared the disturbing photos from the accident scene attribute the mishap in Port Harcourt, Rivers State to the poor state.